Your support of the Bibles for Beach Club program at KiDs Beach Club® allows our ministry to provide every boy and girl enrolled in one of our clubs their own Bible. 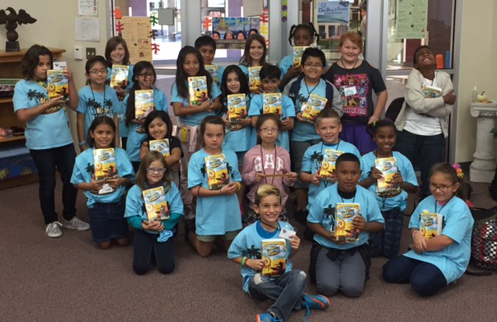 To distribute those Bibles, KiDs Beach Club® started Great Treasure Day in the spring of 2015. It’s a day jam-packed with anticipation and excitement. Now, new Beach Club attendees receive a Bible on Great Treasure Day, which is coming up. Most clubs will hold Great Treasure Day during the month of October on each club’s fifth week. 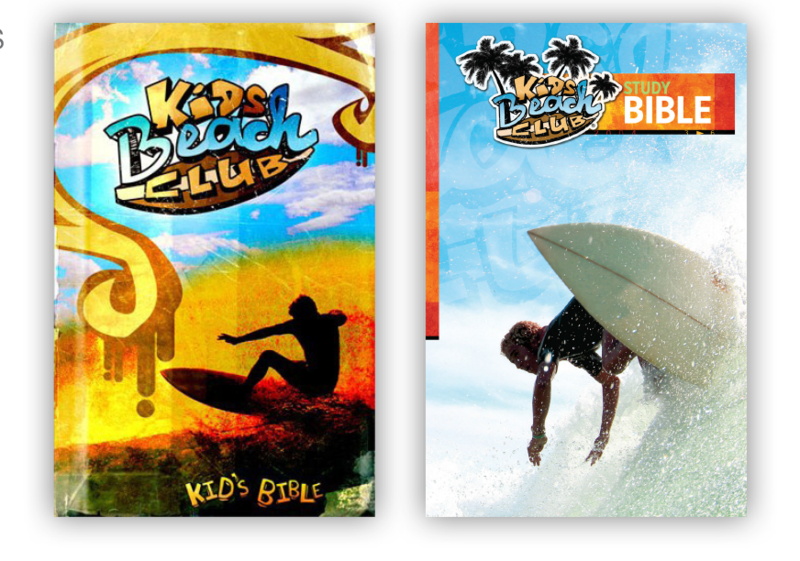 While nearly every child now receives the NKJV Explorer’s Study Bible, KiDs Beach Club® still has a small inventory of the NIV Devotional Bibles. Some Beach Clubs prefer the Devotional Bible and are given the option to select that version while limited supplies remain. Both the Explorer’s Study Bible and Devotional Bible also are available on the KBC online store. One of the clubs that continues to use the Devotional Bible is led by residential real estate agents Sidney and Kim Galloway, a couple that volunteers at the Beach Club at Catalina Elementary School in Orlando, Fla. The Galloways recently donated five cases of the KBC Devotional Bibles to pass out in their club. As members of First Baptist Church Orlando, the Galloways have been serving in Beach Club since the club started during the 2012-13 school year. Since that predates Great Treasure Day, they would personally provide extra copies of the NIV Devotional Bibles so that every child could have one. Now, they choose to stay with the KBC Devotional Bible, which features 52 weekend devotions designed to take kids from Genesis through Revelation and 260 daily devotions packed with all sorts of “life” issues and challenges facing kids. Since getting children to read the Bible is the goal, the KBC Devotional Bible is a good option. Sidney said he regularly sees the children, many of whom now have both Bibles, using the Devotional Bible. The Galloways continue to give – both time and financial resources – to KiDs Beach Club because kids reading the Bible and that it’s helping them develop an everlasting relationship with Jesus Christ. Thank you to all of the friends of KiDs Beach Club® like the Galloways who continue to support our Bibles for Beach Club program to teach truth inside our public elementary schools. 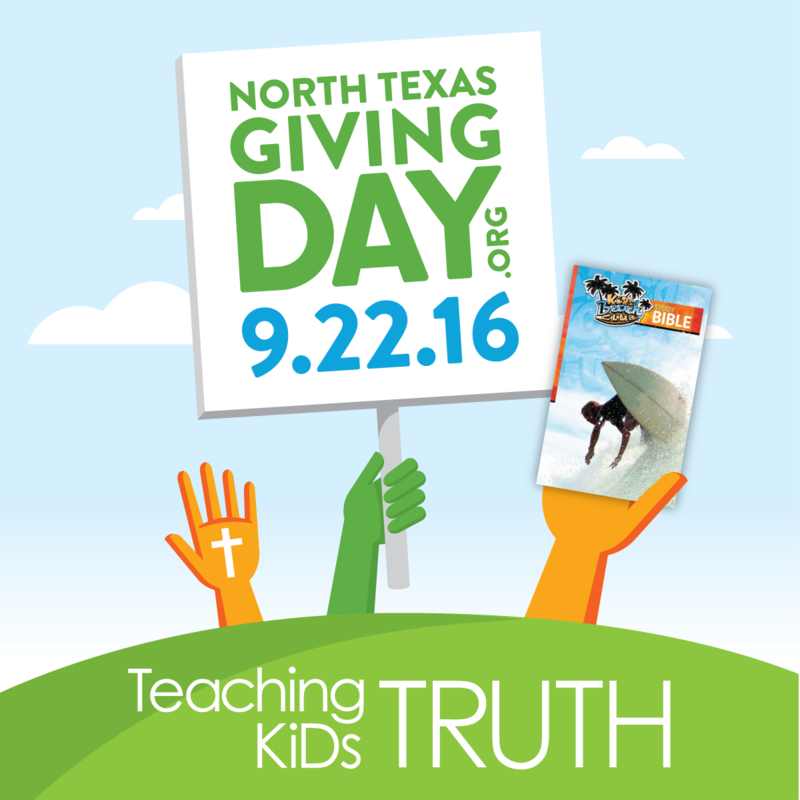 September 22 is North Texas Giving Day. It's the day when you can help KiDs Beach Club® continue to Teach KiDs Truth at a time when it's hard for parents to monitor all the untruths their children are hearing these days. Please consider making a special gift that can be used to assist us in Teaching KiDs Truth. It only costs $20 for us to put a Bible in a child's hand inside their public elementary school! Visit kidsbeachclub.org/givingday to make a donation.